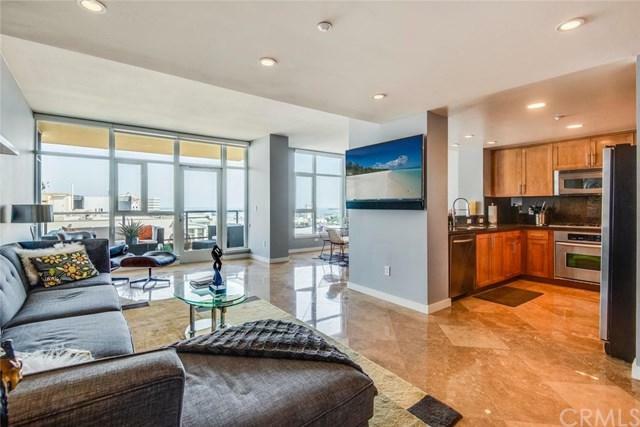 Perfect Urban living in a Luxurious High Rise in Downtown Long Beach with sweeping panoramic views. Spacious open floor concept. 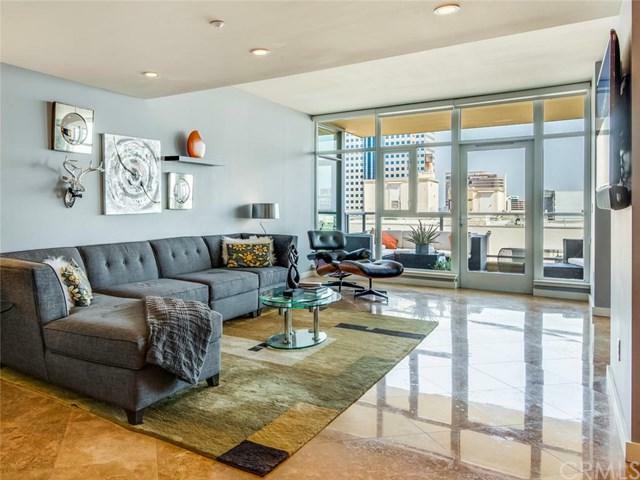 This beautiful 2 bedrooms, 2 baths, 2 balconies and floor to ceiling windows is a perfect place to come home to everyday. Natural lighting from its floor to ceiling windows in every room makes this home a must-see. Master bedroom has a large walk-in closet with an over-sized balcony/patio to relax and enjoy the city breeze. 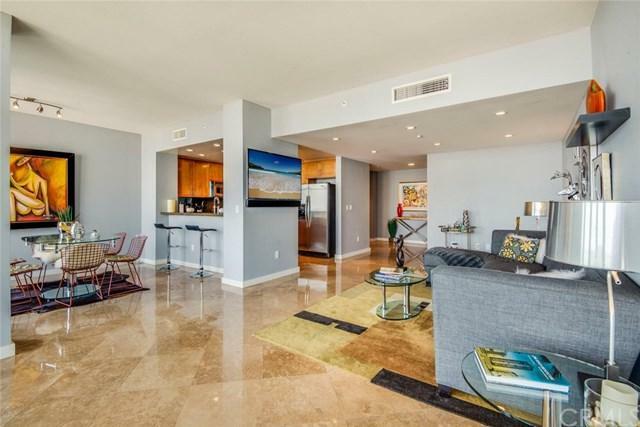 Kitchen has stainless steel appliances and granite counter tops, inside washer/dryer closet, beautiful travertine flooring throughout and another large balcony off the living room overlooking the gorgeous city & views of the ocean and harbor. This home comes with a climate controlled wine locker in the community wine room, on-site storage unit and 2 parking spaces. The common areas include pool, spa, sauna, BBQ area, fireplace with seating area, large gym, yoga room, multi-club room with a kitchen in both Towers, lounging areas, billiard/library room, media room, business center, guest accommodations & 24-hour concierge/security. 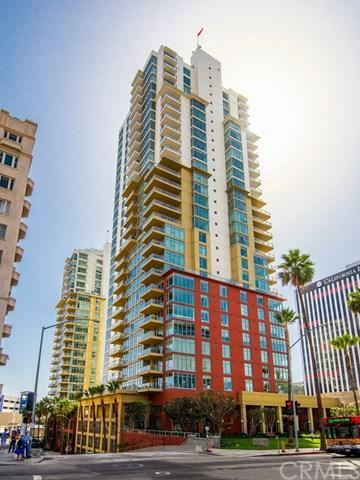 All this and just walking distance to the Marina, Ocean, The Pike, restaurants, Performing Arts Center, Convention Center, Arts District, Shoreline Village, Pier, Aquarium of the Pacific, grocery stores and public transportation. Sold by Debra Kahookele of Re/Max Estate Properties.